JamesBowman.net | What Was the Founders' "Sacred Honor"? What Was the Founders' "Sacred Honor"? From The Times Literary Supplement. February 1, 2002. Joanne B. Freeman, a young lecturer at Yale, has done some valuable and pioneering work into the investigation of honour’s importance to the founding of the American Republic. For an age in which the very word has an alien, faintly repellent sound (we associate “honour” killings with countries where women are bought and sold like cattle), she has done much to explain its meaning and importance to those who were in the vanguard of modernity for their time. Among the Founding Fathers, she tells us, “Honour” was used interchangeably with “reputation” but it meant “reputation with a moral dimension and an élite cast”. It was, moreover, “the core of a man’s identity, his sense of self, his manhood”, which is why even in those relatively enlightened times it not infrequently involved men in single, and lethal, combat over real or imagined slights. To Americans, by far the most famous of all duels is that which was fought in July, 1804, at Weehauken, New Jersey between two heroes of the War of Independence: Colonel Aaron Burr, who was then vice president, and General Alexander Hamilton, who had been the closest aide-de-camp of General Washington and Secretary of the Treasury during Washington’s presidency. Burr killed Hamilton, who had proclaimed his intention of firing above his opponent’s head, destroying his own political career in the process. Miss Freeman devotes a substantial portion of her book to this duel (recycling much of the material she had earlier published in a seminal article in the William and Mary Quarterly), showing how familiar all its elements were in the political and social context of the early Republic — all, that is, save in its having resulted in the death of one of the principals, which was a comparatively rare occurrence. The problem with the book is that, although the author several times shows that she knows better, she persistently treats the 18th century honour culture as if it were an indigenous product that grew up among the American Founders as a result of their political situation and that presented them with unique problems of reconciling the new democratic and republican spirit with the demands of a traditional aristocratic code. Thus she writes that “the code of honour did more than channel and monitor political conflict; it formed the very infrastructure of national politics, providing a governing logic and weapons of war”. There were no organized parties in this unstructured new arena, no set teams of combat or institutionalized rules for battle. Political combat in the new national government was like a war without uniforms; it was almost impossible to distinguish friends from foes. National politics was personal, alliances were unpredictable, and victory went to those who trusted the right people at the right time in the right way. The implication throughout her book is that the honour culture evolved in order to give public men a way to cope with partisan confusion and fluidity. But the honour culture long antedated the foundation of the Republic, and what looks to the historian like a confusion of parties and factions was more likely the consequence than the cause of honour’s influence. 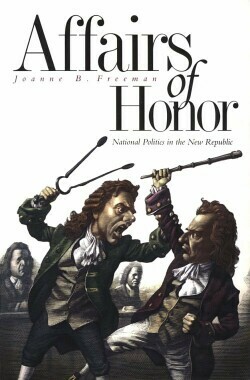 More seriously, just as honour is seen as the result of the inchoate political system, so Miss Freeman suggests that it disappeared with the emergence of reasonably stable party structures — “a ritualized, honour-bound, personal level of political interaction” having allegedly “persisted until the anonymity of formal national political parties altered the tone of politics forever”. Except that it didn’t. 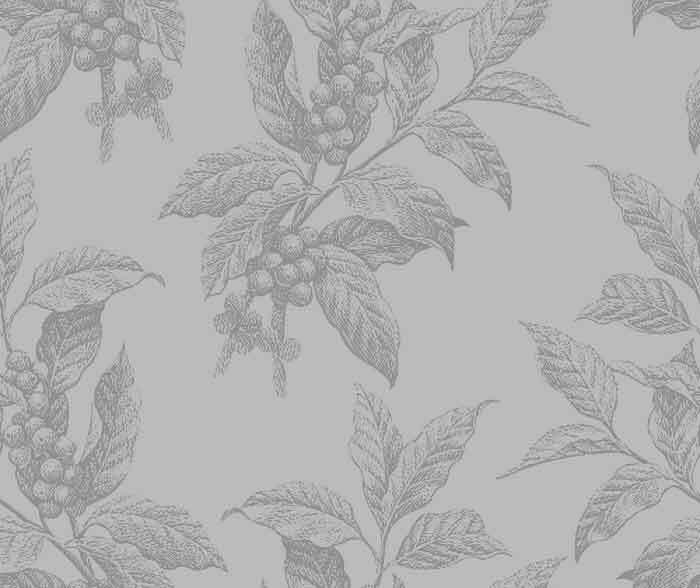 She devotes no attention at all to it in the colonial period when it was already, or the antebellum era in the South where it was still, an important feature of daily life. Nor does she look beyond the American context, an excessive concentration on which makes her paradoxically unable to give due emphasis to what was genuinely new and original about the honour culture in the United States. This was the early association of the old aristocratic standard with a new and democratic concern for public opinion. When a duel was particularly controversial (she writes) — when a duelist died or a chief was involved — politicians capitalized on widespread public interest with contending newspaper accounts, both sides attempting to win public approval while dishonouring their foes. Regardless of his behavior on the field, a duelist’s reputation depended on the success or failure of these publicity campaigns. Political duels were won by the faction that best controlled public opinion. It is true that she quotes one contemporary who deplores this practice, noting that “there is not another country in christendom — probably not in the world — where the seconds in a duel. . . have the presumption, immediately after the contest, to publish with the signature of their names, a detailed relation of its commencement, progress and catastrophe, together with encomiums on the gallant behavior of their respective principals.” But how one wishes that she had pursued even one of the several lines of inquiry suggested here instead of persisting in her enthusiasm for making honour into nothing but a precursor of modern American political parties. For if, “under the two umbrellas of principle known as Federalism and Republicanism lay a mass of shifting loyalties”, and “at various points in their political careers, even men of seemingly ironclad principles like Jefferson and Hamilton were rumored to have abandoned their supporters to join with former foes”, couldn’t the same be said of politics in any age? Though honour may have resulted in “blurred bounds between socializing and politicking”, if you ask any congressman today where the one begins and the other leaves off and he will be as vague as any Founder. And if “honour was the ultimate bond of party”, or “the ultimate bond of political trust”, was this not true at least up until quite recent times? It might be stretching things to say that it is equally true today, but the reaction to the party-switch of James Jeffords last year shows that there is still a powerful residual sense of honour at work even in today’s party politics, allegedly so remote (“most foreign to modern sensibilities”) from the “link between personal honour and political loyalty”. In thus overstating the political role of honour, Miss Freeman understates the extent to which it was present in all phases of life for those who were not politically active but who could claim gentlemanly rank. In retrospect, it seems to us that the “honour culture was an aristocratic holdover. . .[and] hardly fit comfortably with an egalitarian regime”, but honour’s interference with egalitarian principles would have been of much less concern to those accustomed to speaking of their “sacred honour” than egalitarianism’s interference with it. The real doubts about the honour culture came in the United States as they did elsewhere from its conflict not with egalitarianism but with religion, though about its moral dimension Miss Freeman has little to say. The divided sensibility of those who submitted themselves to what Hamilton called “public prejudice” while suppressing their moral and religious scruples therefore also remains largely unexplored. For all the marvellous contemporary information unearthed in this book, its view of honour is limited by the narrow focus of the academic historian.